The 2015 Volkswagen Golf is the most awarded car of the year, so Palm Coast and Port Orange drivers shouldn’t be surprised to learn that it offers far more than the 2015 Toyota Corolla. We conducted an exhaustive comparison to highlight just how much more you’ll receive when you drive a new Golf. 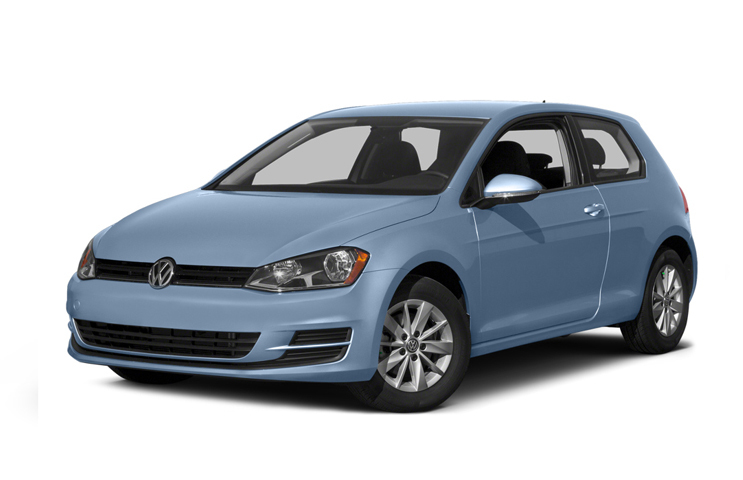 The 2015 Volkswagen Golf is available in five trim levels. Launch Edition: Starting at $17,995, the Launch Edition is available in either a four-door or two-door configuration, and offers a touchscreen sound system, heated side mirrors, and a 60/40-split folding rear seat. S: Starting at $19,295, the S is also offered in either four-door or two-door. It upgrades comfort with V-Tex leatherette seating surfaces and utilizes a multi-function steering wheel for enhanced control. S w/Sunroof: Starting at $21,295, this stunning model opens up your drive to the great outdoors using a panoramic sunroof. SE: Starting at $24,895, the SE is all about premium technology. Your music is pumped through the 9 crystal-clear speakers of a Fender premium audio system, and a rearview camera is fitted for convenient reversing. SEL: Starting at $28,395, the SEL includes a cutting-edge touchscreen navigation system as standard, making missed meetings a thing of the pass. 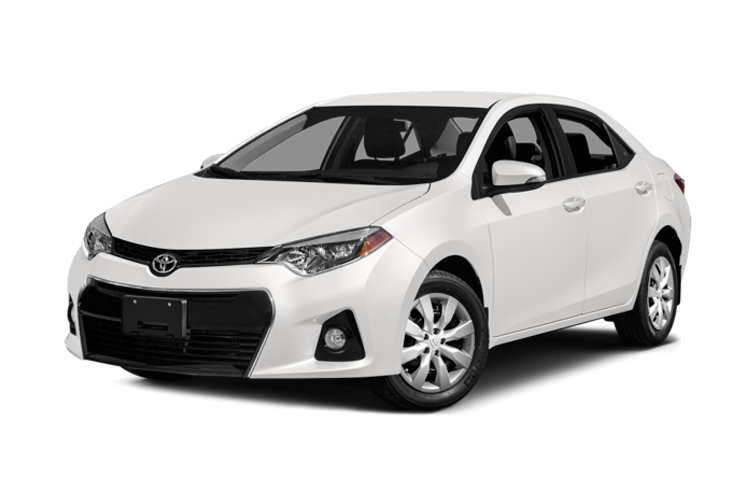 The 2015 Toyota Corolla comes in just four models and is aimed more at budget drivers. L: Available for a minimum of $16,950, the L model includes LED Daytime Running Lights and 15-inch wheels. LE: Starting at $18,565, the LE adds climate control and a three-spoke steering wheel. LE Eco: Starting at $18,965, this model adds ECO driving modes to help you save money on fuel. S: Starting at $19,195, your upper-level Corolla includes a 6-way adjustable driver’s seat and a leather steering wheel. It’s true that the Corolla costs less — but this is a situation where you truly get what you pay for. 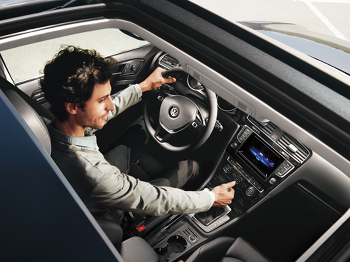 Volkswagen has always valued driver choice, so they’ve made the 2015 Golf available with two separate engines. 1.8L 4-cylinder TSI: Putting you in command of 170 hp and 200 lb-ft of torque, the standard engine boasts strong performance, but still returns 25 mpg in the city and 37 mpg on the highway. 2.0L 4-cylinder TDI Clean Diesel: This optional diesel engine is ultra-efficient, allowing for 30 mpg in the city and 45 mpg on the highway, all while generating 150 hp and an incredible 236 lb-ft of torque. The 2015 Toyota Corolla comes with just one engine, though it is offered in two different versions. As standard, it offers 132 hp and 128 lb-ft of torque, so acceleration and performance is inferior to the Golf. The Eco mode creates a little more power, taking ratings to 140 hp and 126 lb-ft of torque. Efficiency peaks at 30 mpg in the city and 42 mpg on the highway. 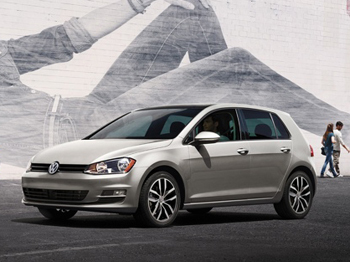 Whether in terms of power or fuel-economy, you’ll be far better off in a Golf. 56 independent automotive journalists agreed that the 2015 Golf and Golf GTI fully deserved to be named the North American Car of the Year, and a huge part of that was down to the comfortable interior. Unlike the 2015 Toyota Corolla, this isn’t a vehicle that sacrifices passenger room for cargo space. In fact, while still enjoying 93.5 cubic feet for all occupants to stretch out and relax in, the Golf provides a sprawling 22.8 cubic feet of cargo space – significantly more than the 13 cubic feet of cargo room provided in the trunk of the Corolla. Remote Keyless Entry: Makes for easy access to the vehicle, even when you’re only stepping out the door. Eight-Speaker Sound System: Controlled from a 5.8-inch touchscreen color display, this system offers twice the power of the Corolla’s 4-speaker alternative. Variably Intermittent Wipers: Even flexible wiper modes don’t come as standard on the old-fashioned Corolla. SiriusXM Satellite Radio with 3-Month Trial Subscription: Enjoy complimentary access to commercial-free music. Maybe that might be why it was awarded a top score of “Good” in every crash test conducted by the IIHS, unlike the 2015 Toyota Corolla. 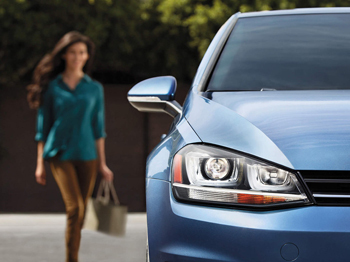 The Golf was also named a Top Safety Pick by the NHTSA, an honor not given to the Corolla. The 2015 Volkswagen Golf offers superior power, efficiency, cargo space, safety, and standard features to the 2015 Toyota Corolla. To experience it for yourself, contact the Are man she towards today.